A. Gardner Books: USA Today Bestselling Author! 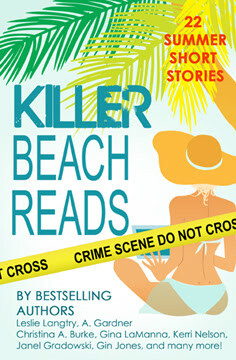 The Killer Beach Reads collection featuring the Poppy Peters prequel, Ice Cream Bombes & Stolen Thongs, made the USA Today Bestseller list! I'm very grateful for all the lovely authors over at Gemma Halliday Publishing who worked so hard to make this happen. Also, thanks to all you readers out there who have enjoyed the Poppy Peters mystery series. Without you, I wouldn't be posting this! Have a happy (and delicious) summer, everyone!